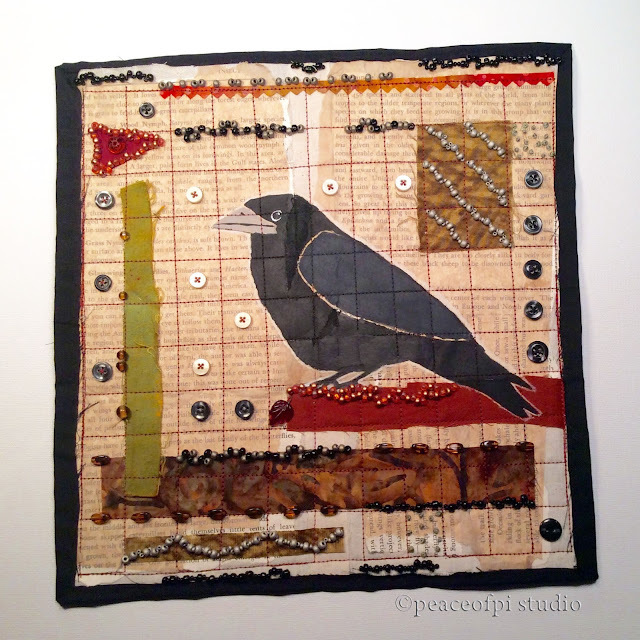 Corvid is a mixed media art quilt combining fabric, paper and paint. The raven is the painted element - painted directly onto the paper and fabric background on top of the stitching lines. Torn book pages and scraps of fabric with frayed edges form the colourful collage elements. The grid design of the stitching created little boxes for embellishment, including hand beaded details and touches of hand embroidery. 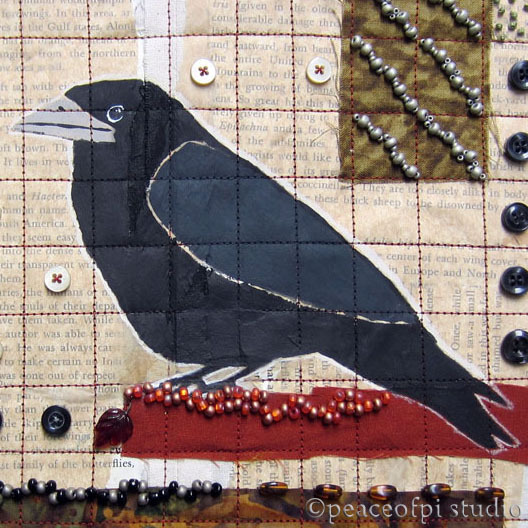 The addition of buttons added a homey touch to yet another stitched collage featuring crows. There's so much more to explore, and another mixed media quilt is in the works now. Stay tuned. 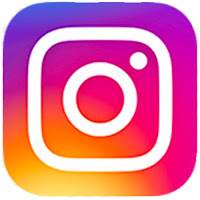 peeks at my studio, worktable, works in progress and more.